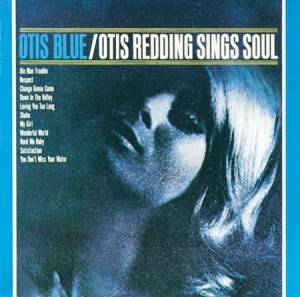 Today’s Cool Album of the Day (#871 in the Series) is Otis Blue, Otis Redding Sings Soul. If you are a musical purist and do not allow live albums, compilations, or greatest hits packages to infiltrate your desert island disc knapsack, then Otis Blue / Otis Redding Sings Soul should be added to your collection post haste. 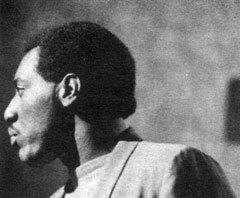 The album, released in 1965 just months after the death of Sam Cooke, was the first really pure Otis Redding record. More cohesive in style, this effort has much more of a live feel about it, with the entire package (including the sultry, evocative blond on the album cover) produced with an artistic flow that was previously missing from his prior efforts that included Pain in My Heart, and The Otis Redding Dictionary of Soul, both classic albums in their own right. Recorded mostly over a 24 hour period in July of 1965, the record reached number six on the U.K. charts, and was the first of Otis’ albums to reach Number one on the Billboard R&B charts. 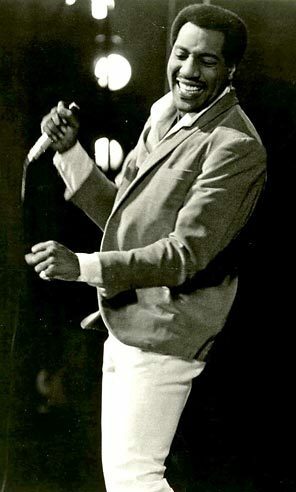 Sam Cooke with his tender, smooth vocal style was Richie Cunningham to Otis Redding’s swagger filled, take no prisoners Fonzi. Two iconic Cooke songs are represented here with both “A Change is Gonna Come,” and “Shake” grooving a bit more than the originals, and with a bit more hair on them. The real “sets it apart” moments on Otis Blue come from the iconic Redding originals that are peppered throughout this set. “Respect,” presented here for the first time, helped cement Redding’s position on The Mount Rushmore of soul singers, and along the way made Aretha Franklin a star. The more obscure “Ole Man Trouble,” is also included in the set, but the real power play here is “I’ve Been Loving You Too Long.” As powerful a love song that has ever been written, the original mono version of this song backed by The Booker and the MG’s rhythm section provides a stunning centerpiece for the song that is considered his second biggest hit behind “Sittin’ on the Dock of the Bay”. The song was further made famous with the gut wrenching, impassioned rendition performed at the Monterey Pop festival just months before he died. While the Sam Cooke tunes along with original songs make up about half of the songs here, the rest of the album features strong “ make the song his own” covers with BB King’s “Rock Me Baby” that features stellar guitar work from Steve Cropper that perfectly complements the aggressively seductive vocal delivery style, and the Smokey Robinson classic “My Girl” where he turns downs the lights, tones it down just a notch from the original, and takes us on a trip down a romantic river with this subtle and delicious version, as standouts. 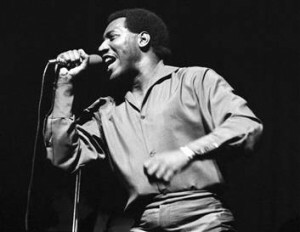 Musical lore has it that Mick Jagger and Keith Richards originally wrote “Satisfaction” in tribute to Otis Redding and his soulful style, and judging by this carefully phrased version, the verdict is in, and the defendants Mick Jagger and Otis Redding are guilty as charged. Listening to the original Rolling Stones song back to back with this one really drives the similarities home. Mick and Otis are definitely twin sons from different mothers. After listening to this album three times now within a couple of hours the rating has been moved from 4.5 stars to 5 stars. The singing seems to become more vibrant and alive with each listening, and even the lesser known songs like “You Don’t Miss Your Water” and “Down in the Valley” pop with soul to their very core. With contributing artists like Booker T. Jones, Donald “Duck” Dunn, Steve Cropper, and even Isaac Hayes on piano, the recipe is set for one of the classic meals of all time. Put this record on your musical shelf next to I Never Loved a Man, The Way I Love You by Aretha Franklin and Two Steps From the Blues from Bobby “Blue” Bland in the Stone Soul Classic category. Here’s the album in it’s entirety on a playlist…. Here are some additional Soul/R+B album for you too.